Search results for "James Wines"
As part of the Art Dealers Association of America (ADAA)’s annual Art Show at the Park Avenue Armory, Miami's Fredric Snitzer Gallery will be presenting the works of James Wines from February 28 to March 4. Wines, an architect, visual artist and writer, is known for his idiosyncratic blend of architecture and landscape. 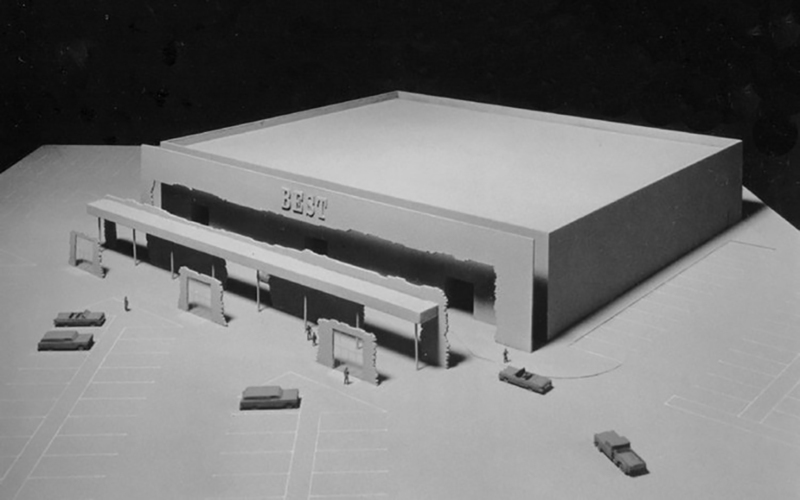 The solo presentation of Wines’s work will feature the architect’s drawings and models to highlight their site-specific design inspirations as well as the influences behind them. 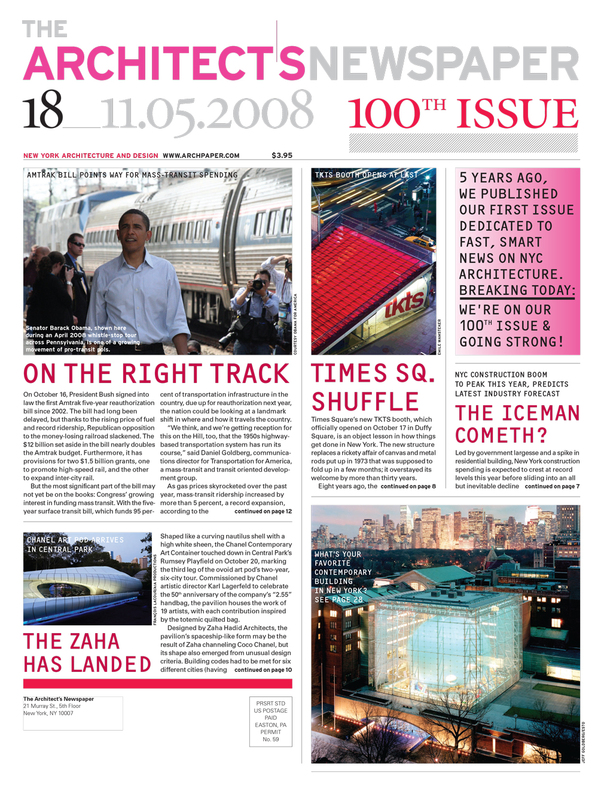 SITE, the architecture and design firm Wines founded in 1970, describes its work as based around the philosophy of ‘environmental thinking.’ This philosophy seeks to explore and examine alternatives to the conventional treatment of buildings and the segregation of artistic disciplines. With this approach, the border between artificial and natural landscapes is blurred, with buildings being fragmented and reconstructed into fantastical forms. 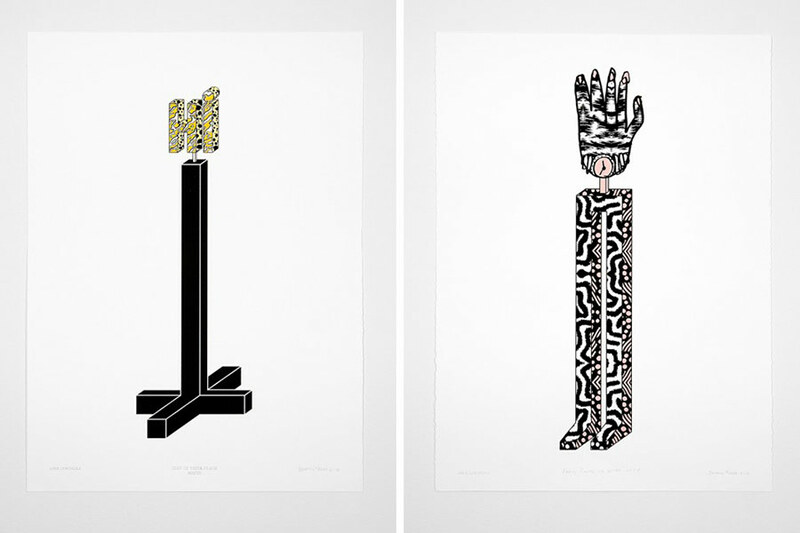 Wines is well-known for his use of physical and hand-drawn representations of his work, which he views as an essential aspect of the design process. 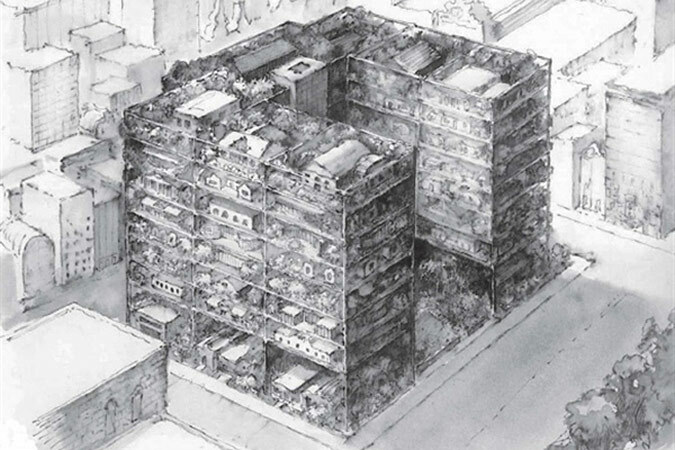 His "mind-to-hand" drawing fosters his development of highly-detailed and unique renderings. 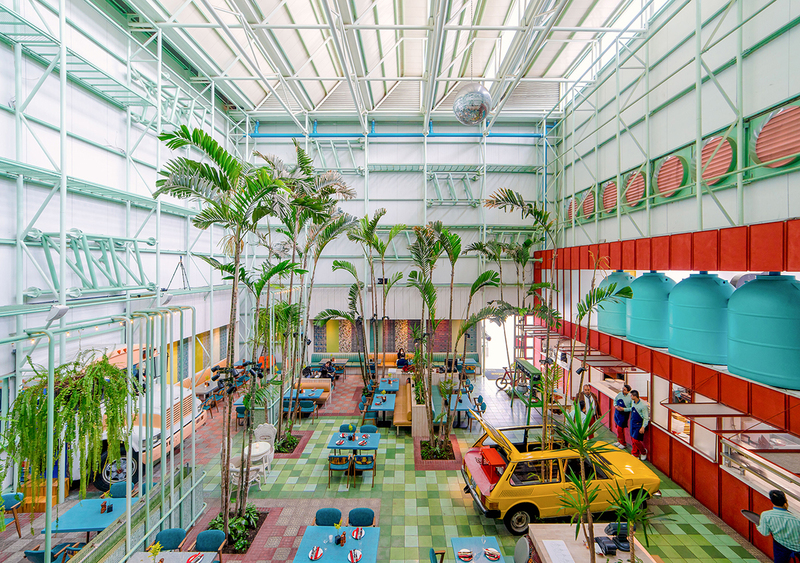 SITE’s canon of work includes architectural projects built in over a dozen countries. 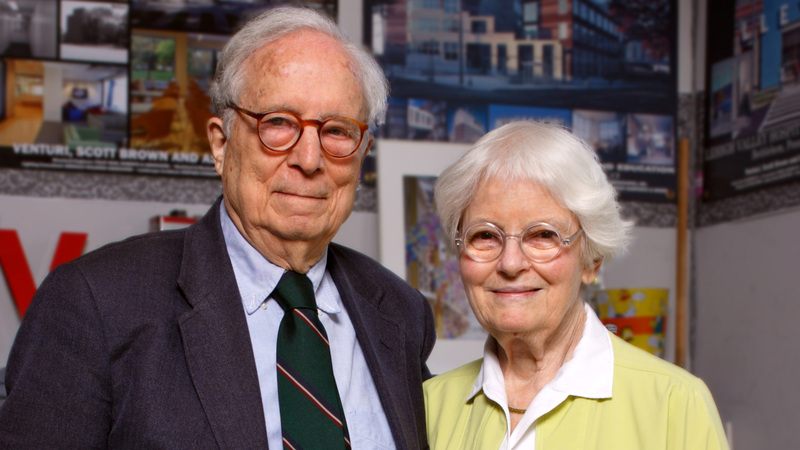 In addition to his architectural output, Wines has also received a number of accolades, including the 1995 Chrysler Award for Design Innovation and the ANCE Award for International Architect. While his work has been featured in more than 150 museums and galleries, this will be the first time Wines is exhibiting in an art-specific context. Vito Acconci morphed slowly into an architect from the worlds of art and poetry. 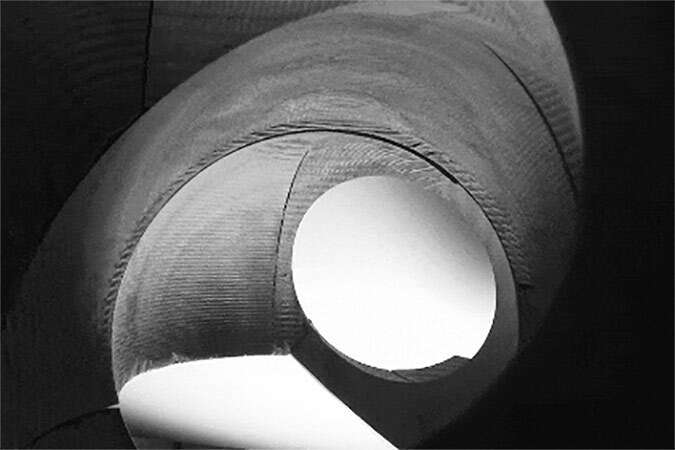 His art work moved from audio performances and the written page in the 1970s to installation pieces that were increasingly sculptural objects in space. In these newer works, he was always conscious of the public nature of space, so it was a natural evolution for him to begin thinking about designing public sculpture and even buildings. 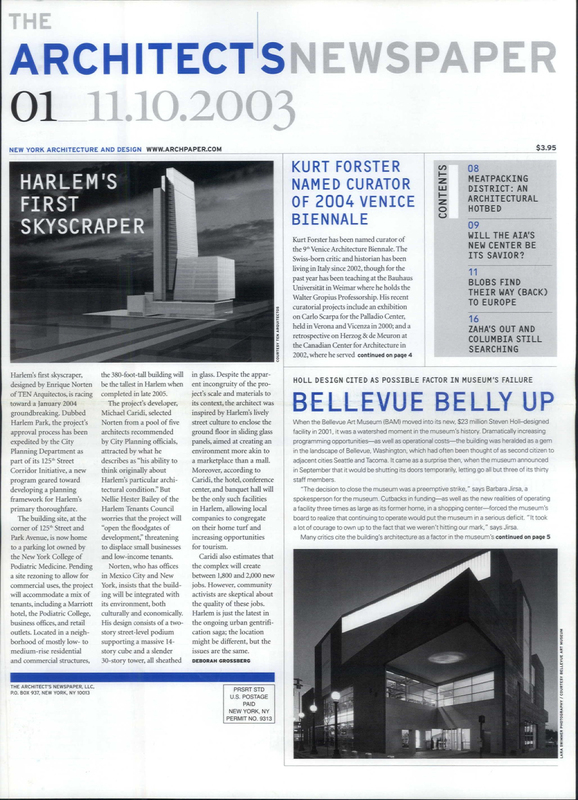 His boundary-defying work included his co-design (with Steven Holl) of the façade for the Storefront for Art and Architecture in 1993. Acconci passed away earlier this year in April. Last week The Storefront hosted a celebration of his life, that included YOU ARE HERE (& there, too, etc), 2013, an audio piece commissioned by the gallery in 2013. 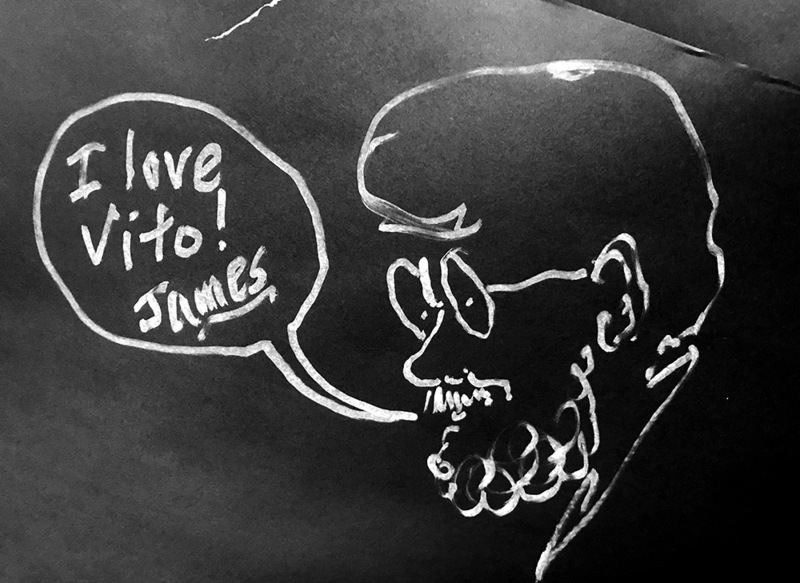 The evening also included tributes by James Wines, Steven Holl, Bernard Tschumi, Benjamin Aranda and others. 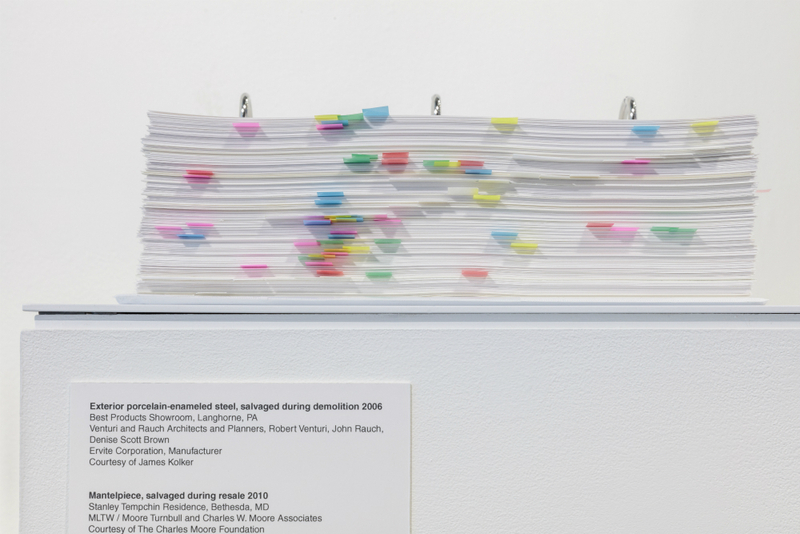 Now the Storefront, together with the Acconci estate and studio has installed In Recognition: Vito Acconci, a tribute wall in the Kenmare Street gallery that asks visitors to write or draw memories of Acconci and reflect on the meaning of his work. The piece will remain on view through Friday, December 22, 2017. 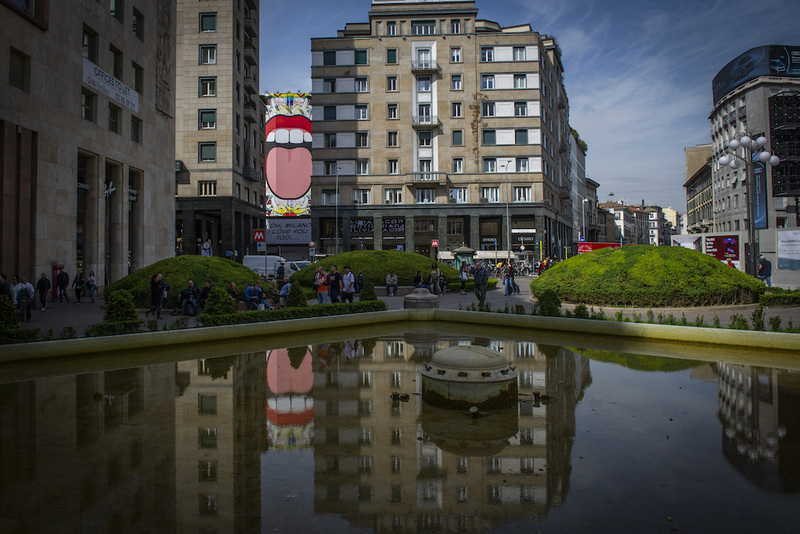 The public is encouraged to contribute to the wall that will become a permanent part of the artist’s archive. The Storefront is located at 97 Kenmare Street and is open Tuesday through Saturday from 11:00 a.m. to 6:00 p.m.
On Saturday, September 23, Storefront for Art and Architecture will launch the New York Architecture Book Fair with a day-long conference, Architecture Books / Yet to be Written / 1982-2017-2052. 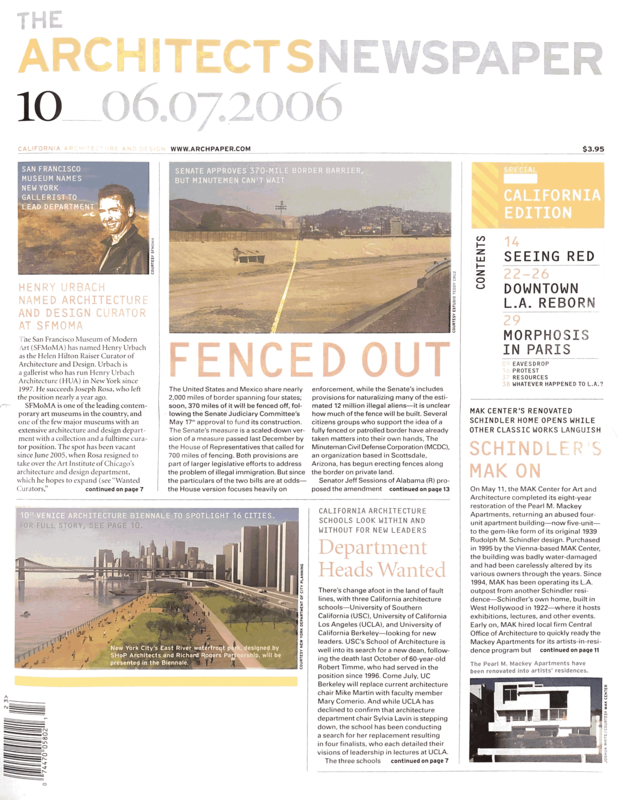 The event will ask architects to think about the past and future of architectural publication, enlisting critical voices in the field, including: Diana Agrest, Stan Allen, Amale Andraos, Harry Cobb, Beatriz Colomina, Reinier de Graaf, Peggy Deamer, Elizabeth Diller, Steven Holl, Sanford Kwinter, Daniel Libeskind, Thom Mayne, Enrique Norten, Toshiko Mori, Joan Ockman, Spyridon Papapetros, Brett Steele, Bernard Tschumi, Anthony Vidler, Rafael Viñoly, Mark Wigley, James Wines, and others. This conference is presented in partnership with The Irwin S. Chanin School of Architecture of The Cooper Union. Each participant has been asked to present a book published in the past 35 years that they consider to be essential reading on contemporary architecture, as well as to imagine a publication for the future, a “book yet to be written.” Due to the waning number of architecture bookstores across New York, this Storefront event and attendant book fair intends to fill the gap for enthusiasts of architecture and urban speculation in print. At the conference, Storefront will also present BOOKS-NOW, a selection of signed architecture books published over the last year at a discounted rate. The New York Architecture Book Fair will open in June 2018 at Storefront's gallery space as well as at bookstores and homes across New York. 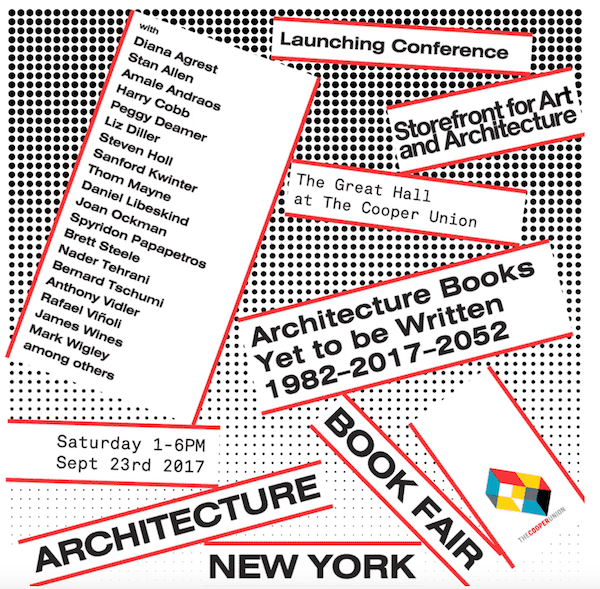 Architecture Books / Yet to be Written / 1982-2017-2052 Time: Saturday, September 23 1:00 – 6:00 p.m. Location: The Great Hall at Cooper Union, 30 Cooper Square RSVP here for the event. We Know How to Order. Starting October 3, over 100 designers convene for a full-on architecture biennial in Chicago that will take over most of the city’s cultural venues with what is the largest survey of contemporary architecture in North America. 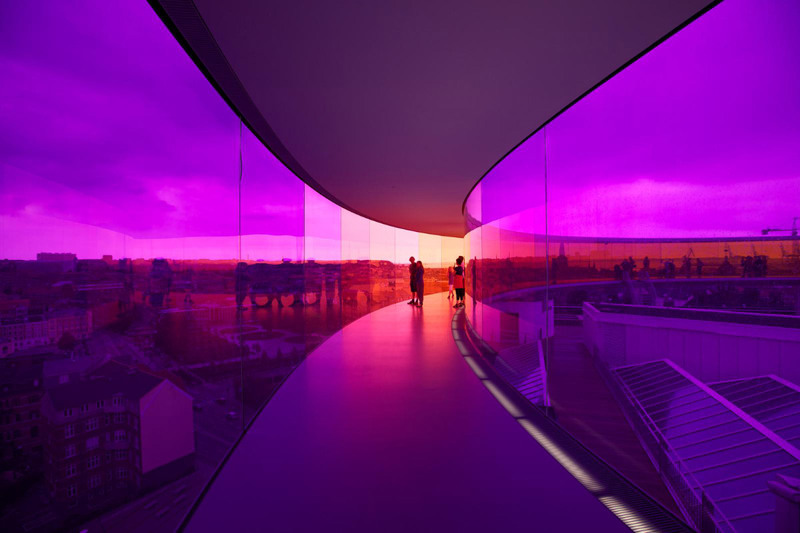 Architects from around the world will exhibit, examine, and discuss the Biennial’s theme, “The State of the Art of Architecture.” Here are our editor’s picks for the can’t-miss things to see at this year’s Biennial. 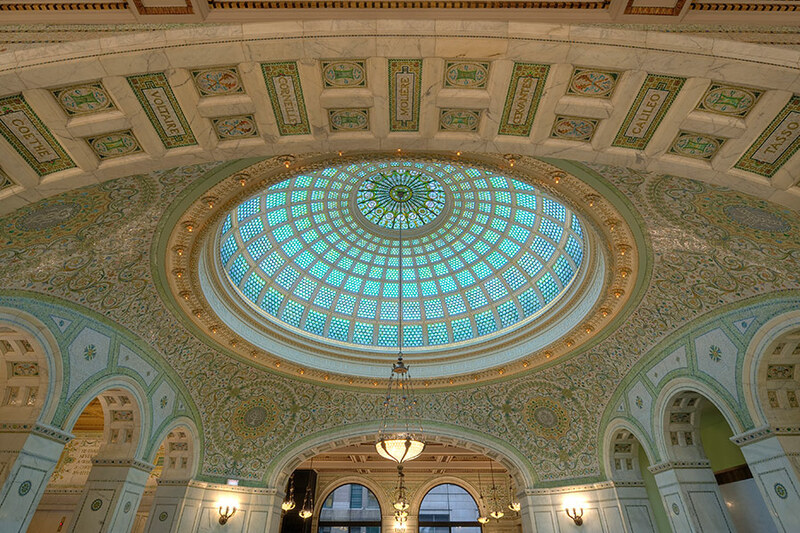 The main venue of the Chicago Architecture Biennial, the Chicago Cultural Center is a five-story Beaux Arts building in the center of downtown Chicago. 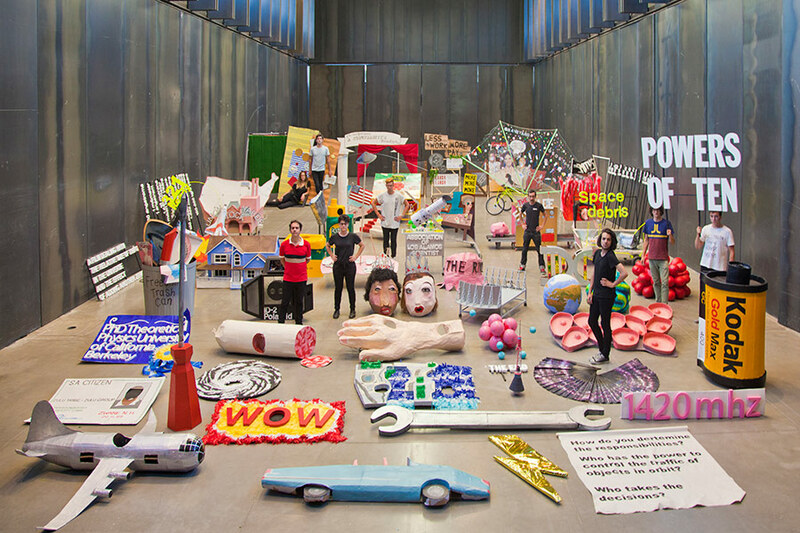 The Biennial will fill the galleries and public spaces and will be the first time that the entire building has been dedicated to a single curatorial project. BOLD: Alternative Scenarios for Chicago. The only exhibition in the Chicago Cultural Center will be organized by local architect Iker Gil of MAS Studio. BOLD will bring together Chicago architects to showcase alternative development scenarios for the city using film, photography, and mapping. There will also be studio visits and proposals exhibited by a variety of firms. Through October 30, 10:00 a.m. – 5:30 p.m.
James Wines—of SITE fame—will show drawings from his collection that features more than 150 architecture, landscape, interior, and exhibition projects. Through January 31, 2016 10:00 a.m. – 5:00 p.m. 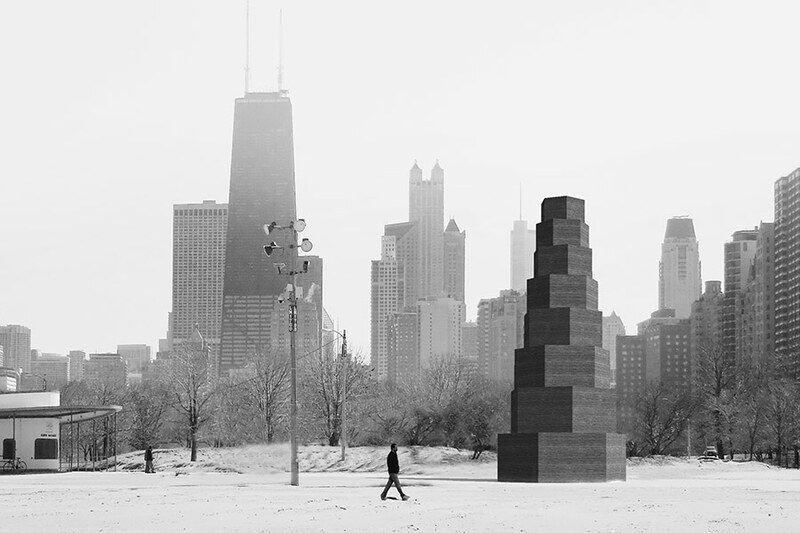 In her first solo exhibition, UIC faculty Ania Jaworska creates a site-specific installation of black sculptures that reference quotidian architectural elements such as arches, obelisks, gates, and signs. Left to right: Barbara Kasten: Stages; Making Place: The Architecture of David Adjaye; Varieties of Useful Experience by James Hyde. Through January 9, 11:00 a.m. – 6:00 p.m.
Barbara Kasten: Stages is an exhibition of her influential photographic work that manipulated light, and architectural form. Through January 3, 2016 10:30 a.m. – 5:00 p.m. 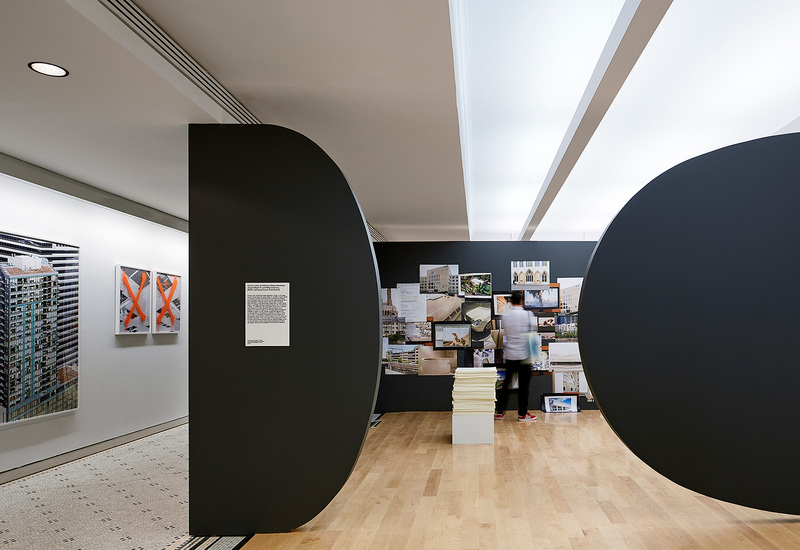 The first major museum show for David Adjaye, this mid-career retrospective offers a look into his distinct approach and visual language, and features a dynamic installation design by Adjaye Associates. Through October 17 11:00 a.m. – 6:00 p.m. This exhibition presents chairs, paintings, tables, handles, frescos, sculptures, and lighting. Hyde uses an array of materials: steel, linen, home brewed paint, industrial enamel, vinyl, styrofoam, hand-blown glass, 2 x 4s, fine mahogany, plexiglass, and photographs. 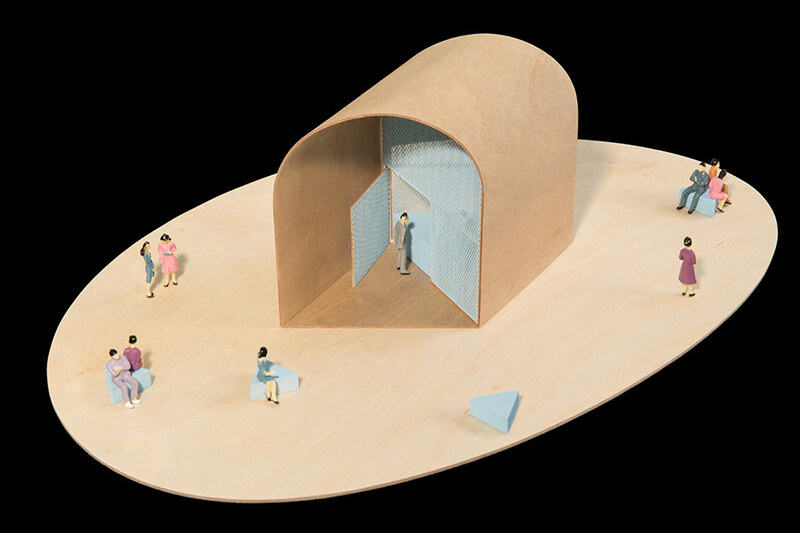 In collaboration with architects, three Chicago architecture schools have each designed a permanent kiosk that will be installed along the lakeshore in Millennium Park through the duration of the Biennial. The Cent Pavilion—a 40-foot tower of silent and convoluted simplicity—was designed by Chilean architecture firm Pezo von Ellrichshausen with the Illinois Institute of Technology. 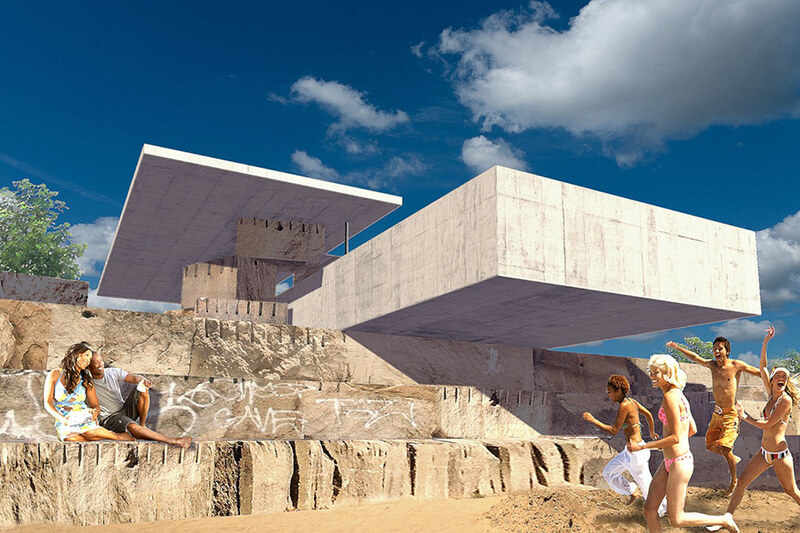 Rock is a pop-up pavilion—a public sculpture—composed from the raw and historic limestone blocks that once protected the city’s shoreline. Summer Vault consists of basic geometric shapes—a 12-foot-diameter barrel vault, a parallelogram, triangles—that create a freestanding hangout. 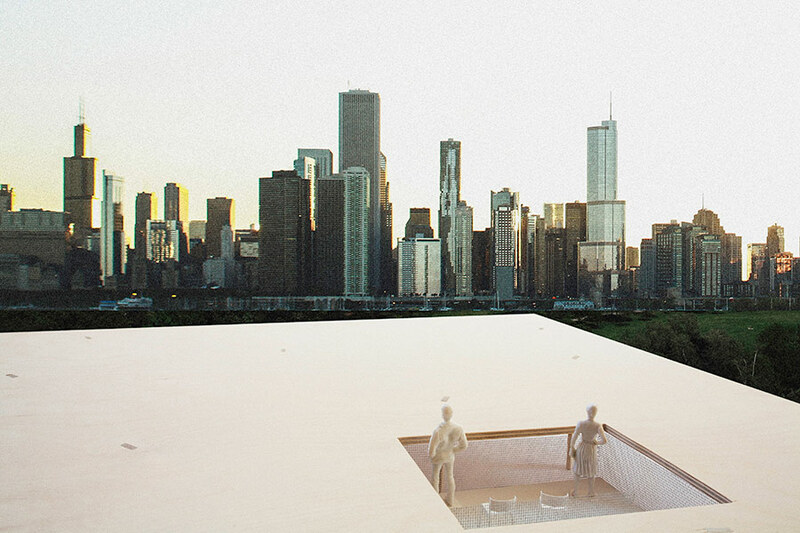 Titled Chicago Horizon, Ultramoderne’s kiosk is a quest to build the biggest possible flat wood roof. Left to right: It’s Elemental; 2015 Burnham Prize Competition: Currencies of Architecture. Through January 3, 2016, 12:00 p.m. – 5:00 p.m.
Elemental looks at the same elements as Rem Koolhaas’s 2014 Venice Architectural Biennale exhibition The Elements of Architecture: the floor, wall, ceiling, window, facade, corridor, door, stair, etc. through the lens of different artists. 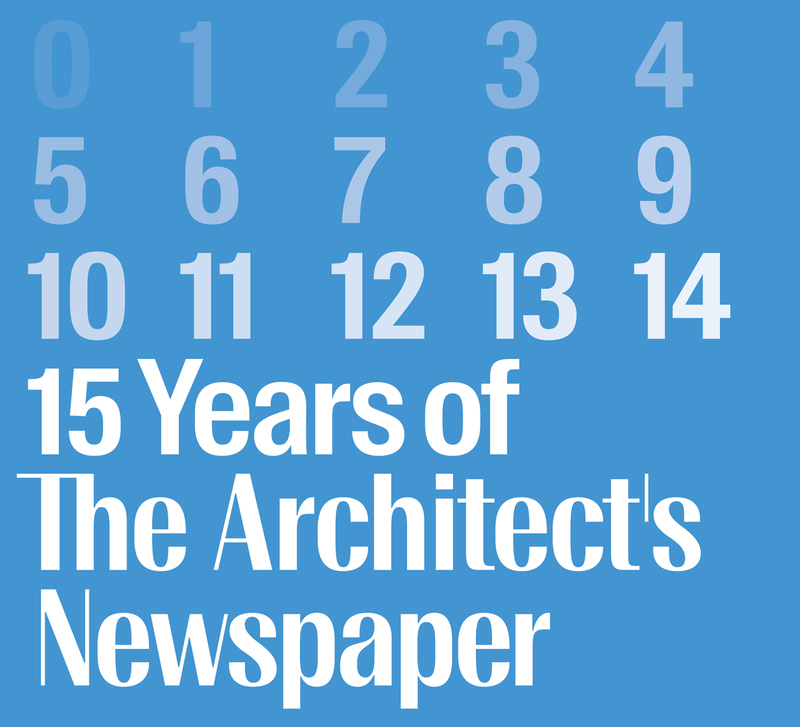 Through January 4, 2016, 9:00 a.m. – 6:30 p.m.
Chicago Architectural Club’s 2015 Burnham Prize explores the question: What is the state of the art of architecture today? 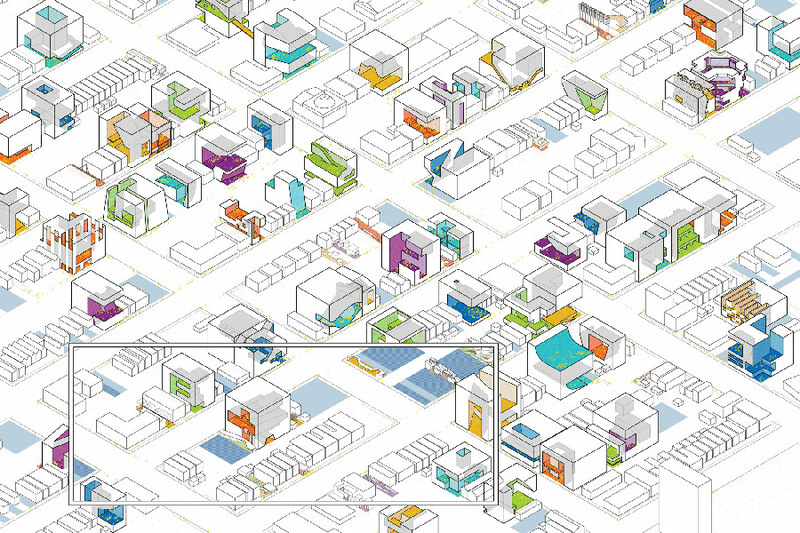 Left to right: Chicago Interiors; Solarise: A Sea of All Colors; Vacancy: Urban Interruption & (RE)Generation. October 15 – December 12, 5:00 p.m. – 9:00 p.m.
Chicago Interiors addresses extraordinary interior spaces in Chicago as presented through notes, models, and material boards. Through January 3, 2016 9:00 a.m. – 5:30 p.m. The project Weltstadt – Who creates the city? asks who really creates the city today and who will shape its future? Through September 22, 2016, 9:00 a.m. – 5:00 p.m.
Solarise: a sea of all colors is Luftwerk’s site-specific installation in the Garfield Park Conservatory’s historic structure and natural collection. September 14 – November 14, 9:00 a.m. – 5:00 p.m. Vacancy is a collection of site-responsive projects around the city led by Andres Hernandez, Emmanuel Pratt, Amanda Williams and their collaborators. Left to right: Next Up: Chicago Architecture Biennial Participant Presentations; Imaginary Worlds. October 3, 12:00 p.m. – 4:00 p.m.
A variety of Chicago Architecture Biennial participants will discuss their work, which ranges from social activism to technological futurism. November 13, 6:00 p.m. – 9 p.m.
Two cartoonists (Edie Fake and Keiler Roberts) and two architects from the UIC School of Architecture (Ania Jaworska and Sam Jacob) discuss the links between comics and architecture, including imaginary and real worlds. Left to right: Designed to Eat; International Perspectives on Chicago and the Future of Urban Change. 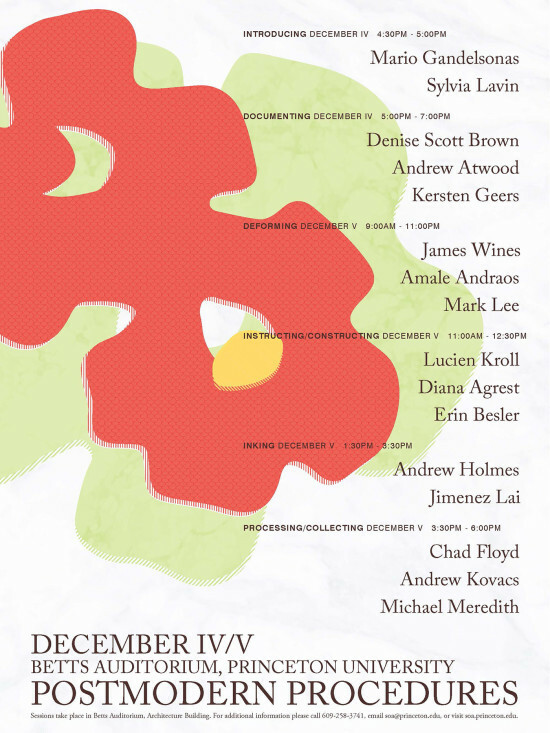 December 4, 6:30 p.m. – 8:30 p.m.
“Designed to Eat” pairs a chef and an architect and challenges them to design a dish. The two arts share common themes like togetherness and nostalgia. October 1, 5:00 p.m. – 8:00 p.m. The Art Institute of Chicago, the Architecture & Design Society, Van Alen Institute’s International Council and the Chicago Architecture Biennial host this conversation between international architects and urban thinkers on cities. October 1 – 3, 4:30 p.m. – 5:30 p.m. Superpowers of Ten is a performance based on the narrative and ideas at the heart of the original Eames film Powers of Ten, a film created by the office of Charles and Ray Eames for IBM in 1977. Conceived by Bryony Roberts, and choreographed by Asher Waldron of the South Shore Drill Team, ”We Know How to Order” is a site-specific performance in Federal Center by Mies van der Rohe. High-energy drill routines respond to the public space and the architecture of Mies by questioning how we order bodies in the city. Jessica Lang Dance With Steven Holl. November 6, 8:00 p.m. – 10:00 p.m.
American choreographer Jessica Lang will create a new dance in collaboration with architect Steven Holl.